Harlem Lovebirds: At Least It's (Was*) Sunny! At Least It's (Was*) Sunny! 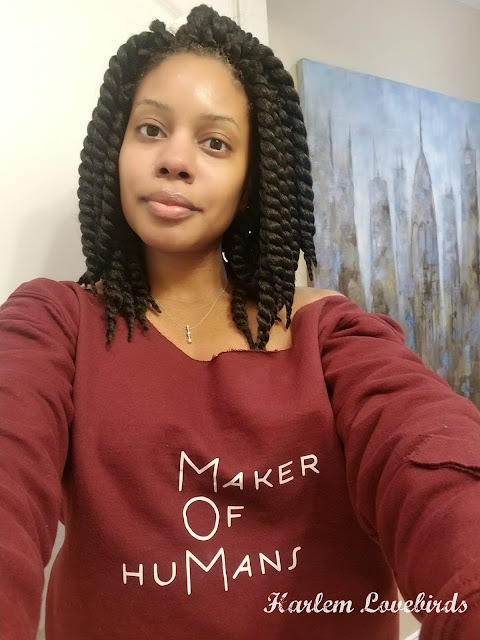 Do you ever see those, "letter to my younger self" posts that circulate the internet? Well I had one of those moments in real life but more of a "note to future self" just 48 hours down the line. Sleep-deprived and shell shocked from dealing with a sick baby and a husband out of town last week, I had the foresight to prepare a yummy slow cooker batch of chicken taco soup (I've blogged about it before here - it's SO good!). I'm so glad I did this because when Mr. Lovebird returned home Friday we hit the ground running! 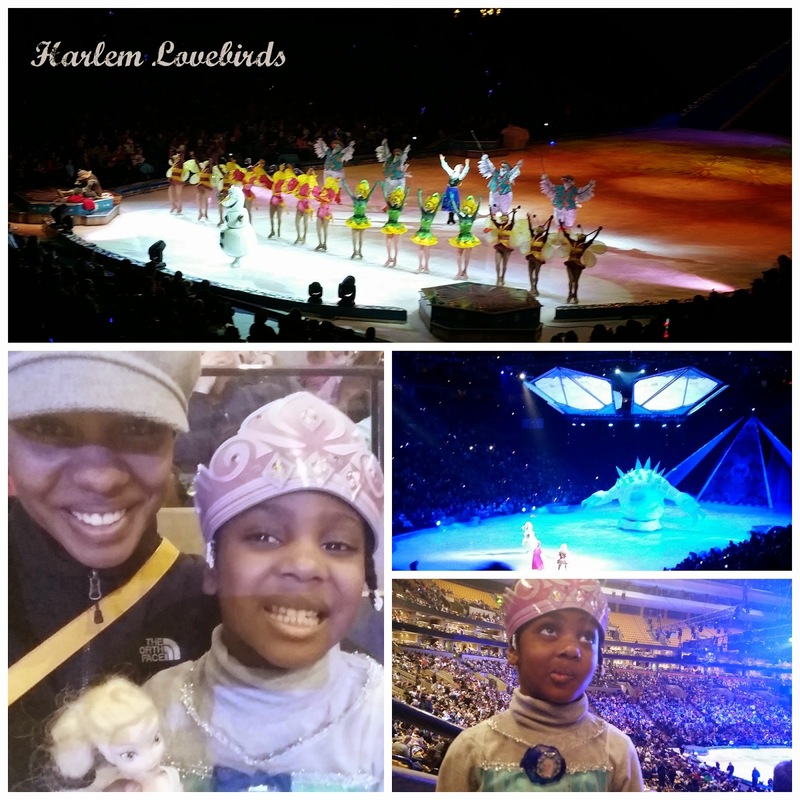 Earlier that day I took Nia to see Frozen on Ice in Boston. I was nervous for two reasons: 1) Finding consistent childcare has been hit or miss since we moved here in October and 2) The awful Boston road/pedestrian conditions made me super nervous to venture there. Thankfully things aligned with our babysitter and Nia and I hit the road early and another foresight moment (getting pre-paid garage parking!) helped us get parked and into the show right on time. Nia loved it! After traffic was a beast getting back (seriously, how does Boston think it can host the Olympics! ), but I was looking forward to a pseudo-double date night with one of Uka's associates and his wife. We ate at Jumpin' Jay's, and the red curry gave me life - I would sneak over there alone just to partake in its awesomeness! 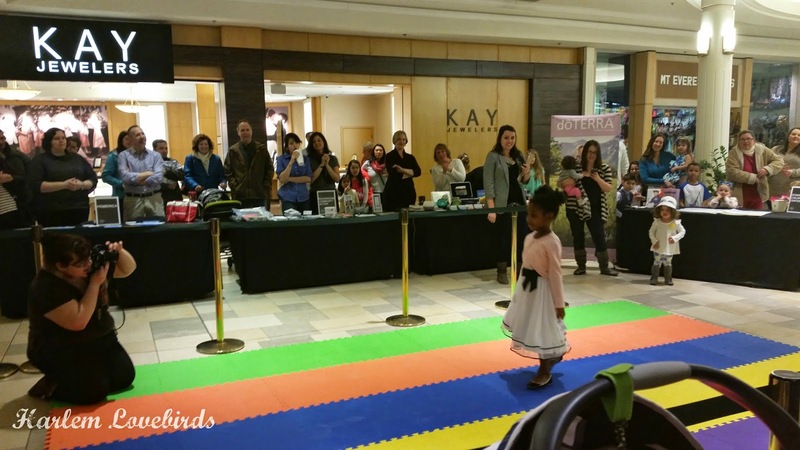 Saturday morning Nia and I got up to get ready for her fashion show debut at our local mall. She told me she might be nervous, but when she saw the gorgeous dress they selected for her, that melted away! While we were at the fashion show Uka and Gray were at his last swim lesson this winter session and it turned out ice burst through the windows of the Y shattering glass everywhere so it's boarded up and darker inside. Scary! So many similar stories happening here in New England. 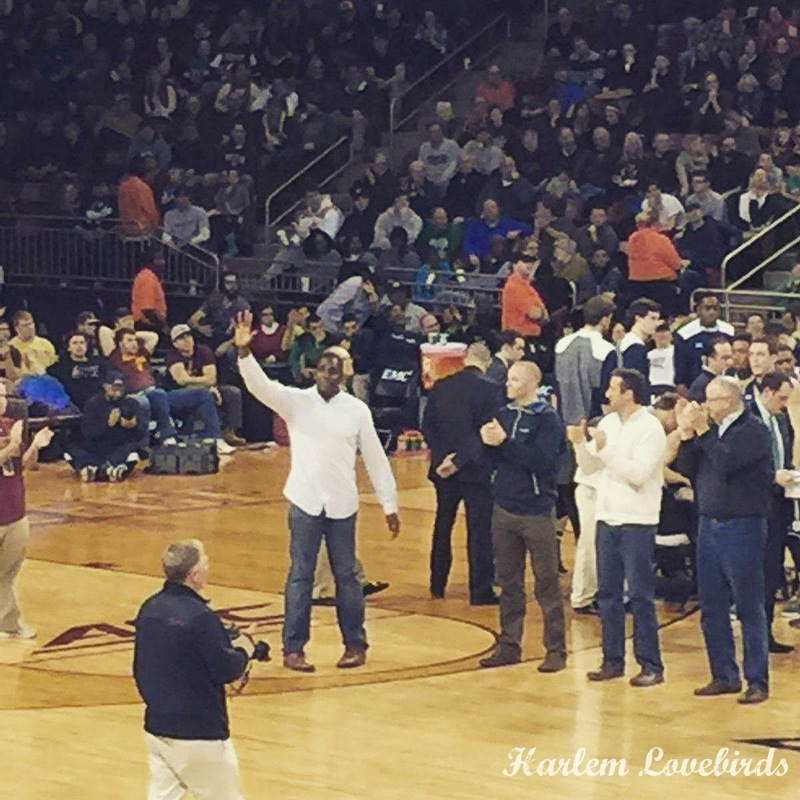 The rest of the day Mr. Lovebird was in Boston at a BC game where he was honored on the court. Home with the kids in bed at last, I was looking forward to catching up on Walking Dead or another Oscar contender, but I crashed when the kids did! Yesterday, I had Oscars on the brain so glammed it up a bit at church. I also had mounds of laundry due to our trip to NYC tomorrow through the end of the week, and in the midst of doing loads happened to miss this moment during the Oscars. Ughhhh! It seemed like the theme of the Oscars was PREACH! With so many taking the stage to share their viewpoints about various issues. I knew there was a boycott of the Oscars going on due to lack of diversity, but I decided not to participate. I watched the Oscars because I like movies plain and simple. I understand that most of the boycott noise grew out of Ava DuVernay's snubbing as well as the lack of diversity, specifically black actors nominated overall (more on that in this infographic). 2014 was the year of 12 Years a Slave and Lupita Nyongo and before that when we saw Halle and Denzel both win it was as though a bone was thrown and in the same way mostly black people got excited to see Obama elected, there is definitely a level of bamboozlement where we may think, "Oh we're getting somewhere!," and it frustrates me that so many issues dissolve into a black/white, us/them argument, but it's not just that. It's an overall diversity and equality issue. I was feeling her for a minute. I'm a feminist, and while I don't think I could have suddenly taken the stage on a moment's notice in front of millions of people, and even wanted to use the stage to make a statement let alone do it coherently, I have to say at least she tried. One of my favorite bloggers Luvvie's take on the situation is here. I don't agree, but I can understand why Patricia's comments could come off as alienating. Perhaps this will be an educational moment for not only her, but many of us. How was your weekend? Were you surprised by the Oscar speeches, the performances, the lack of diversity? I saw Birdman and definitely think it deserved the Best Picture Oscar, however even if it was an inside joke I think Sean Penn was inappropriate. P.S. YAAASSS and YAAAAASSSSS! Agree?